You’ve heard of people who have achieved what can be called a “legendary” status. Aikido has its share of legends to be sure. But it’s seldom that documents attain such a status. But the visual image we are introducing to you today is part of a photo collection that is indeed the stuff of legends. Our photo is part of the collection of extraordinary images of Morihei Ueshiba taken in 1936 inside the Noma Dojo, a private kendo dojo of note. His partner and remarkable uke is Shigemi Yonekawa. Why are they so famous? They depict Morihei O-Sensei in his physical prime at age 52, in an incredible display of technical virtuosity. The complex throws and pins, the precision and complete command of his martial art as revealed in this collection are a wonder to behold. Have a closer look at today’s photo. Can you reconstruct this technique and figure out how Morihei was able to get into this position? Do you practice this technique in your dojo today? I doubt it! The problem is that these photos have been surpressed for many decades. Why would this be the case? The reason is that the obvious influence of Daito-ryu Aikijujutsu on Aiki Budo–the name of O-Sensei’s art in the prewar period–is clearly evident in these photos, and Morihei and his successors chose to distance themselves from Sokaku Takeda’s art for a number of historical reasons which I have touched upon elsewhere. A few years ago, a sampling of the Noma Dojo photos was finally published in one of Professor John Stevens’ books. 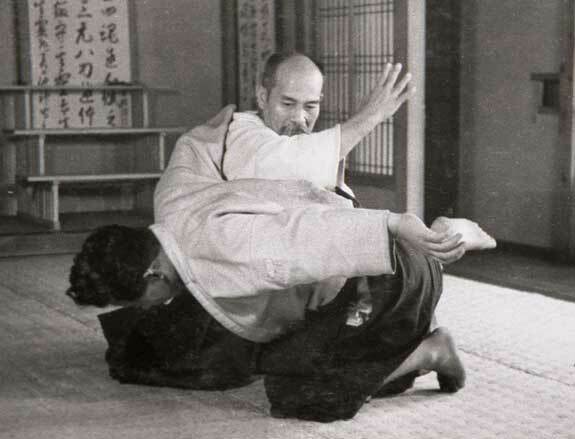 But only a small part of the collection was offered, and there was no attempt to provide a technical analysis or discuss the role of the photos in understanding aikido’s technical evolution. All in all, there are more than 1,100 images that have survived in two separate collections that I was able to unite back in the 1980s. That is a convoluted story in itself, full of political intrigue! Here is an interesting side note. Do you know who photographed Morihei on this occasion? It was a man named Hisashi Noma. Who was he? One of Japan’s top young kendoka of the 1930s and a leading kendo competitor of the era. Hisashi was a close friend of Kiyoshi Nakakura, aka “Morihiro Ueshiba,” who was O-Sensei’s adopted son in those days and married to O-Sensei’s daughter. Hisashi was an admirer of Morihei and wanted to preserve his wonderful techniques. Moreover, he had the means to take all of these photos using a professional Leica camera, a very expensive and rare item at that time. Hisashi was able to do this because he was the son of the famous Seiji Noma, one of Japan’s greatest entrepreneurs of the day and the founder of the Kodansha publishing empire. 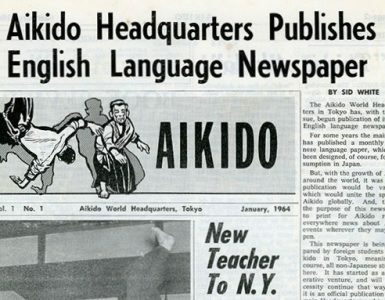 Collectors of aikido books will immediately recognize this name because Kodansha has been the largest publisher of aikido-themed books for many years. So you see, the connection between Kodansha and the Ueshiba family extends back many years before the war. There is much to say about this priceless Noma Dojo collection that is the most complete visual representation of Morihei’s art in existence. 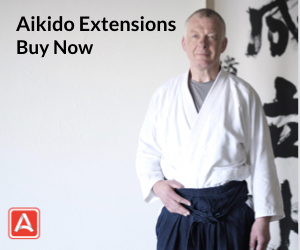 Through this website, I would like to undertake the work needed to reconstruct and evaluate these forgotten images, and make them available to the aikido community. It will take a lot of work. The availability of such documents will open new vistas in your practice. I hope you have enjoyed this peek into the glory days of aikido and come to better appreciate the proud lineage of the art you are practicing today! More please. 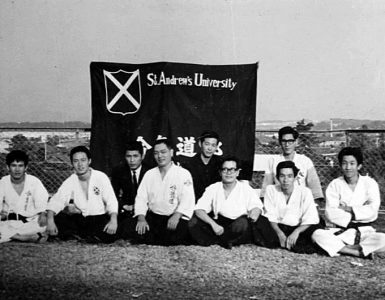 These photos would help immensely in providing background to what Ueshiba sensei was teaching at the Asahi dojo – Of all of the Daito-ryu techniques I have learned/seen the Soden stand out as the most impressive from a technical point of view. 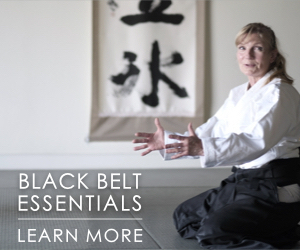 Ueshiba sensei was responsible for teaching around half of these techniques. Thank you for your ongoing efforts Stan I so value the work you do, it has helped to shape my understanding of the martial paths I have taken. The wonderful collection of Noma Dojo photos was published in several books of Professor John Stevens. All in all, there can be found about 550 photos out of nearly 1200, so it’s only half. But there is another problem. In many cases, the photos are not sequential. The reason for this is because the photos from the original scrapbooks for some reason were removed in random order, so pictures had to be rearranged for publication. What I did was to scan all available photos and rearrange them again. It took me whole week to do so! :) It’s really a hard task since many photos depict never before seen techniques, and many segments are missing, and because I only have half of the collection. So it was a real headache. But in the end I ended up with many beautiful sequences. As you can see, some segments are missing, but it’s obvious that the initial attack was ushiro eridori. 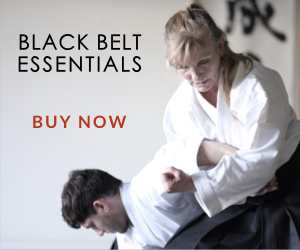 So, we will eagerly wait till Aikido Journal makes this wonderful collection available for us. I value Stan’s work highly. 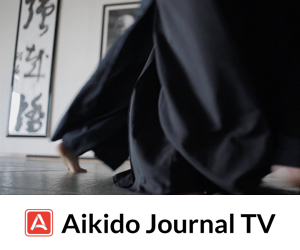 Without him, what would we really know about aikido history? Also, I would like to see Takuma Hisa’s Soden someday. Marius, I must say that your work is a major contribution. This is really an important technical area and much understanding can be gleaned through the ordering and analysis of the Noma Dojo photos. I’ve been thinking a great deal about how to undertake these projects. A basic requirement would be a large paid subscriber base which would allow me to reallocate a larger portion of my time to research and project management efforts. What you’ve done is something I’ve wanted to do for a long time with the photos. Wonderful! P.S. I have the entire Soden collection which I received from Hisa Sensei directly on microfilm shortly before his death. Maybe a new book is in the making .With the entire collection of 1200 photos, surely there is a ready market for this material before it is lost for ever.